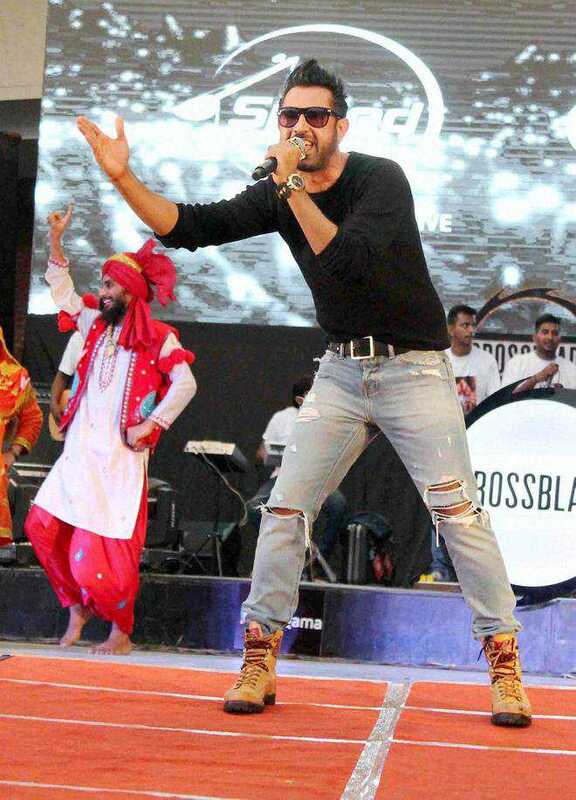 Various social organisations have locked horns with the local administration over its decision to hold Punjabi singer-actor Gippy Grewal’s cultural nite at the local stadium tomorrow. The organisations have announced that they would not allow the event at any cost as Gippy has in songs glorified gun culture and portrayed women in undignified manner.“We will converge to the local hospital on Friday and march towards the stadium where the event has been planned. We will burn the administration’s effigy and also show black flags to the singer. We will not allow the event at any cost as it’s not only the wastage of money, but also reflects the arrogance of officers, who have refused to cancel the event despite objections,” said Pardeep Kasba, general sectary of the Punjab Students’ Union (PSU).Kasba said many other organisations, including Naujawan Bharat Sabha, Istri Jagriti Manch, Mazdoor Mukti Morcha, Tarksheel Society and others have already announced to jointly oppose the event.Two days ago, some organisations had also submitted a memorandum to Barnala Deputy Commissioner Ghanshyam Thori, who was transferred to Sangrur last evening, against the event. However, the administration claimed that they had decided to hold the cultural function to raise funds for Red Cross Society to help the needy. Today PSU leaders and Istri Jagriti Manch representatives met students of Government Industrial Training Institute (Women), Barnala, to mobilise support. “During the meeting, girls announced to support our protest as they understand that Gippy has contributed nothing to the promotion of the Punjabi culture,” said Harpreet Kaur, state committee member of Istri Jagriti Manch.Additional Deputy Commissioner General Arvind Pal Singh Sandhu said Gippy would sing only those relevant songs that promote the Punjabi culture.“The event is being organised to mobilise resources for Red Cross Society and promotion of the culture,” said Sandhu. Row over songs Various organisations have announced that they would not allow Gippy Grewal’s cultural nite as he has allegedly glorified gun culture and portrayed women in undignified manner in his songs.